July 31st and still Skiing! 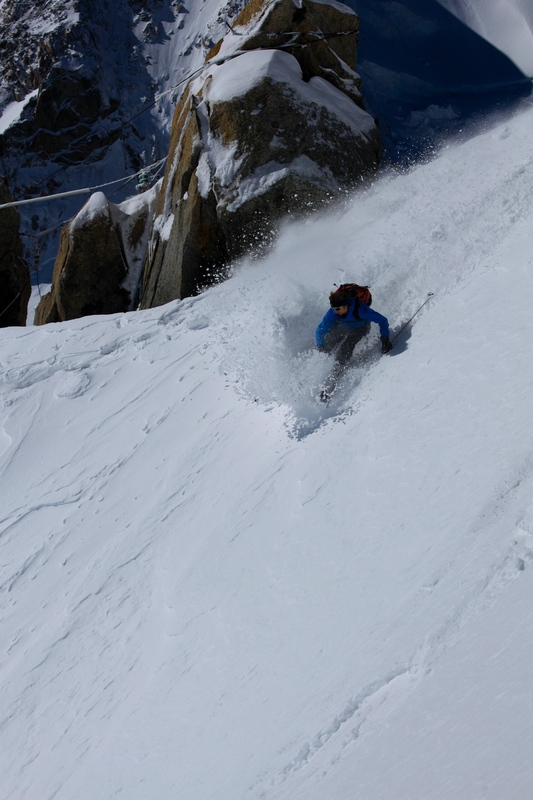 After a hard days raining on Monday and seeing that the rain snow limit was down to 2700m Me and Tom Grant headed up the midi with the hopes of some good summer powder! Not getting up there too early we were half way down the arête just after 8am with our skis on our feet. The arête was great fun with a few inches of fresh powder and as it was still pretty cold up high it was staying in good shape. After having a look about we decided that the North Face of the Tacul was out because there would be a high risk of wind slab, we saw a few groups attempt to break trail up it turning back just after the crevasse after a small slide almost took them back into it. 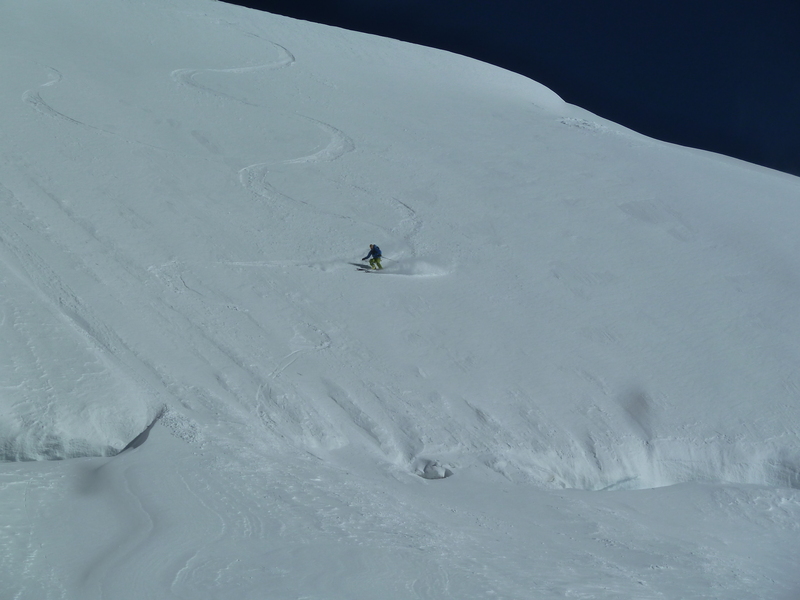 We decided to have some fun on the small ridgeline below the Cosmiques refuge near the Perroux hut. Lapping this a few times we got some good powder turns in and some great photos! It was worth it for the novelty of end of July Powder! 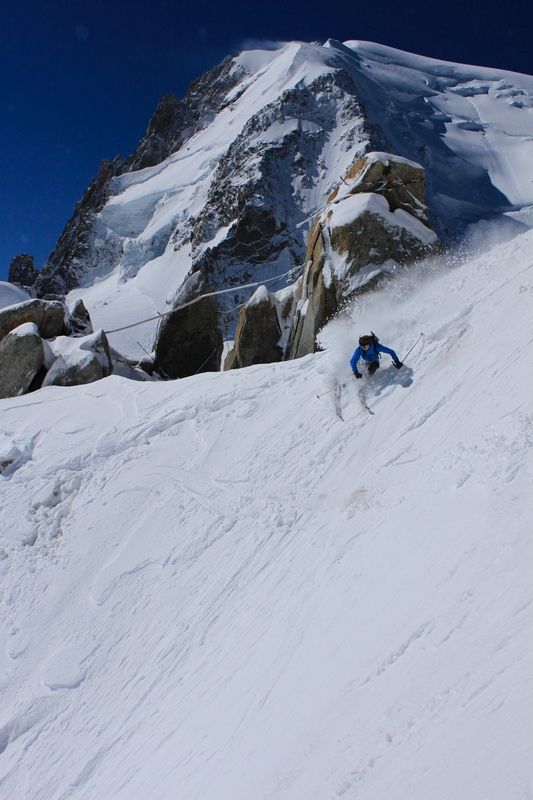 Fingers crossed for some snow up high in August to be one month away from skiing a solid 12 months here in Chamonix. Almost August and still getting for freshies! WTF!!??? Follow Joel to see if he gets some in August!